Mammoth area of Yellowstone National Park sometimes seems to act as a nursery. 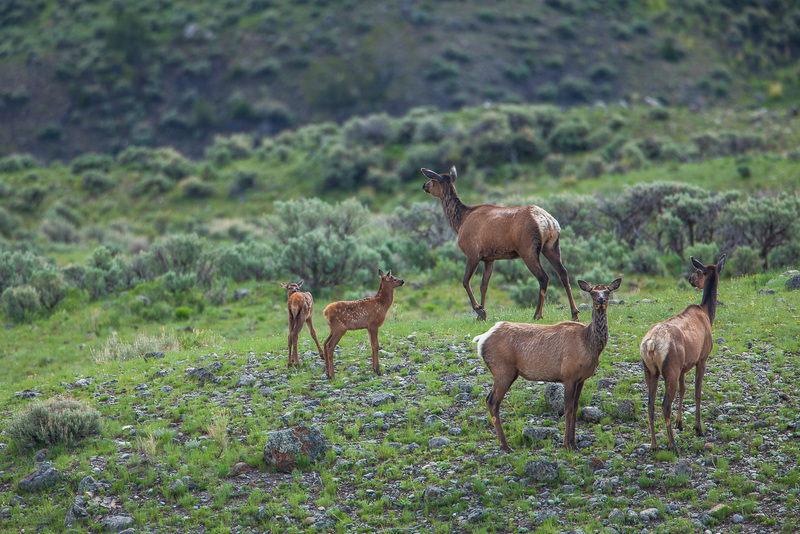 It not uncommon to find small groups of families together in this safer part of the park. Photo © copyright by Lance B. Carter.